How small is small? Wouldn’t it be great to have to have a small, inexpensive acoustic guitar that you don’t mind getting banged, dinged and trashed that you could take anywhere? Well you can, as the travel guitar market is now big business. But do they sound any good and would you be better off with a parlour guitar (small, compact and generally expensive so by default good sounding)? You can also get a guitar that is specifically for travelling – ie: folds up small so you can transport it between A and B – but this is a proper guitar that the neck folds/swivels on (see www.voyageairguitar.com), which to me is not the same thing as a guitar you chuck in the back of the car for a weekend away. 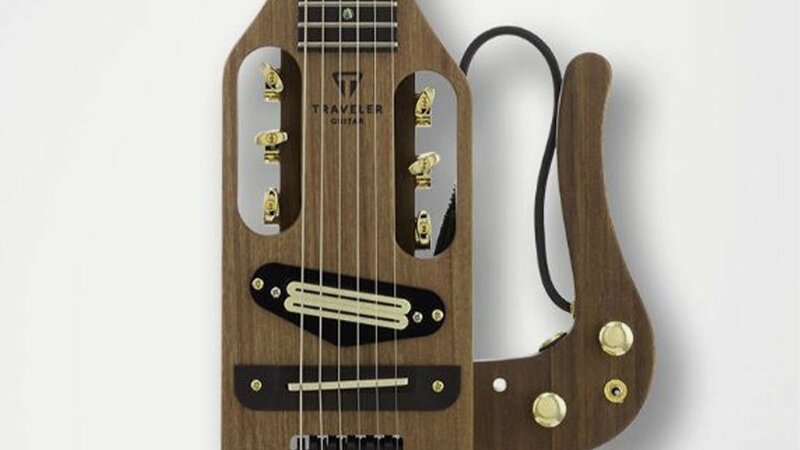 Traveler (see https://travelerguitar.com) produce a range of small, fully functioning travel guitars. As a guitar player that hates his guitars not looking pristine could I cope with one I don’t mind losing or breaking? Not sure on that one. And if it turned out to be a great guitar (Taylor GS Mini springs to mind) would I take it out and about? Not sure on that one either! Most of the main guitar makers now have a travel guitar or two in their line up; Taylor with their GS Mini and Baby; Martin with their Little Martin (made famous by Ed Sheeran) and their rather weird looking Backpacker (how do you play this sitting down?). Tanglewood, Freshman, Yamaha, Sigma, Vintage and Fender also have dedicated travel guitars and for the ultimate in durability you can have one made of carbon fibre from Emerald. What makes all of these a ‘travel guitar’ is that they have small bodies and compact dimensions, making them easy to carry around in the obligatory gig bag (less wieldy than a hard case). Anyone who has played a parlour guitar will know that this does not mean they have a small tone compared to a full size guitar. Nowadays you can get them with spruce, cedar or mahogany tops and a range of neck sizes and shapes are available. £200-£250 for most of them, £599 for the GS Mini and £385 for the Little Martin. For this money though would you leave it in a hot car or tent for the day and hope it didn’t warp, crack or get nicked? For a hundred quid you can buy a (fairly) decent acoustic, which will be bigger admittedly, but if you break it or lose it so what?